Breeze is an outcast, a half-breed orphan born into a world torn apart by a thousand years of war. 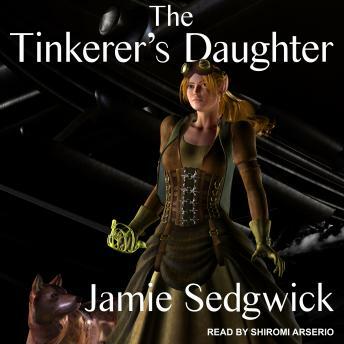 Breeze never knew her elven mother, and when her human father is recalled to the war, he leaves her in the safest place he knows: in the care of a reclusive tinker. The Tinkerman's inventions are frightening at first-noisy, smelly, dangerous machines with no practical use-but when the war comes home, Breeze sees an opportunity. If she can pull it off, she'll change the world forever. If she fails, she'll be considered a traitor by both lands and will be hunted to her death.